Since moving offices more than four months ago, I haven’t yet plugged in my computer’s printer. I keep thinking I’m going to have a reason to use it, but so far that hasn’t been the case. I’ve told myself that if I don’t plug it in by September — the six month mark — I’m going to give the printer to charity. Living without a printer has become significantly easier in the past couple years. I save important files as PDFs, I attach digital signatures instead of physically signing papers, and I clip articles I want to read to Evernote or InstaPaper instead of printing a copy. And, apparently, I’m not alone in my quest to kick the printing habit. One of the main reasons many people own a printer is because we still live in a world where a scribble of ink on a piece of paper, also known as a signature, is required for many documents. It remains an infuriating process: You have to print the document out to sign it, then mail it or scan it and either fax or e-mail it back to the sender. An online service, Hello Fax (hellofax.com), keeps a digital image of your signature on file, which you can then position and resize onto any document you upload to the service. Once the document is “signed,” you can e-mail it or send it to a fax machine from your PC. The service can also, for a fee, provide you with a fax number. Incoming faxes can then be viewed — and signed — onscreen. Even if I plug in my printer before September, I still might get rid of it. I’m fantasizing about what I’ll do with the extra storage space in my office, the money I’ll save, and the frustrations I won’t have when it doesn’t get all buggy or run out of ink or have a paper jam. True simplicity may be found in a printerless office. I can say something about printerless home. I run out of ink in May. I still haven’t bought it and don’t know when it’s going to happen. If I need to print some materials for my students to copy for them I do it at work. At home I need it for nothing, it seems. Might be useful in case of some emergencies, I guess. But yes, it is not a necessary equipment. 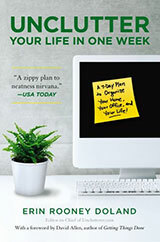 I took my little business completely paperless at the beginning ot the year and have not looked back. I use Dropbox for my digital filing cabinet and it has save a ton in office supplies. Even a wrote an ebook about it. There is virtually no reason to be using paper and ink anymore. I use it to print coupons. I also use it to print home decor/organization items such as labels and photos. My printer broke a few months ago and it has been a pain in the rear! The worst was when I couldn’t print off a certificate that would have saved me over $100 at the doctor’s office! Having to copy directions (inside convention buildings so no gps), maps, and schedules off the computer by hand is also a waste of time. If you decide to get rid of your printer I will gladly take it off your hands! I would keep the printer, Erin. When your little one gets bigger, I think you will find it useful for printing out obscure coloring sheets (a specific dinosaur, for example) on a rainy day, registration forms for kids activities, and things for school assignments and little kid projects. Also great for scanning kids’ artwork and printing them out to make greeting cards/thank you notes. Love your Web site, Erin! We primarily use ours to print our weekly grocery list, and to print our packing lists and boarding passes when we travel. We buy a ream of paper about once a year. We have a laser multi-purpose, so dried ink is not an issue. We do use the copier and scanning functions more often, as we are trying to digitize our files. However, since the multi-function isn’t much bigger than a stand-along scanner, I am satisfied that, while not necessary, it does make life easier. @fritter – is your ebook available for anyone to download? @Frances — I save directions and maps to Evernote and then pull them up on my phone. No need to write out anything. I do the same with coupons. The grocery store scans the barcode directly from the image on the phone’s screen. +1 on Groupons/coupons and the occasional directions (I like to have a backup in case something goes wonky with the GPS). I don’t have a smartphone, so that’s not an option. Printerless office – great idea! But what do you think about PAPERLESS office? It’s my dream to eliminate all the paper from my office workplace. I hope some day I will manage to implement it. I’ve got a older laser printer. I prefer it to ink-jet. But I definitely do a “print to pdf” a lot more. Then, last month, I started running out of toner. Caused a few challenges since I do some graphics work & document processing for local non-profits. I was doing most of this volunteer work via email & pdfs, but occasionally someone would want a hard copy. Now, I just tell them that they need to print items themselves. a note: When I do my work, I do not give them the word doc or any other format than PDF. Printer settings can alter documents & I don’t use default settings in formatting. One “fix” by someone else can ruin a document’s formatting. So, if they want me to do work for them, all documents, including drafts are delivered via PDFs. Like some others here, I don’t have a smartphone. I’d rather keep my printer and buy ink once a year (if even that) then pay for a monthly data plan. We use the backs of old mail or work papers so we haven’t bought paper in a long time. I use the printer for three main things: 1) For tickets or anything else I need to “print and bring with you” like for a conference I recently registered for, 2) for my fertility charts that sit on my nightstand to record my waking temperature (I opted to create and print my own rather than buying the expensive packs of them), and 3) as a copier when I have to send copies of receipts to our health insurance flex plan for reimbursement. That’s about it, but it’s enough to make it worth keeping. We’ve got it tucked on a TV tray in a spare spot between the couch and a cabinet, so it’s not in the way. I use my printer for printing out grocery lists that I stick on the fridge and add to whenever needed. Also return shipping labels, since I do a lot of online shopping. Pretty much couldn’t live without those two things. I love the suggestion for the electronic signature! I have always hated the idea of printing something out, only to sign it and scan it back to electronic form to email it back to someone. I am definitely going to look in to this and start using it ASAP. This will save a lot of time, not to mention paper. That said, I will be keeping my printer for the time being – we use it to print photos sometimes, and for printing coloring pages for our son as someone else mentioned. He’s also about to start Kindergarten so I can just imagine the requisite forms, etc that will go along with this transition! After not using it much, I moved mine down to the basement shelf which holds the cablebox and wireless router. If it had to be in living space, it might become a tougher call. use it less and less, but still need it for the occasional official thingy, colouring sheets for the kids, and as schools are about 6/7 years behind, for silly forms for school. Also, I’m selling books through an onlineshop here in The Netherlands, and annoyingly they insist on me printing and sending out an actual, paper, invoice. But my own filing is increasingly digital. Love my little Fujitsu ScanSnap 1300. PDF s are an intermediate stage as well, of course. We have a dinosaur laserjet that was surplused from an employer over 10 years ago. I think we’ve replaced toner for it twice in that time. I find I use it for mostly two things – ticket purchase confirmations and new recipes. My recipes always get covered in ingredients. Once we have tried a recipe and want to keep it I will save a digital copy with my updates and print a copy to store in a sheet protector in my recipe binder. I’m not wholly paperless yet, but after a recent move, we put away the printer and kept out the tiny portable scanner (tiny Neat unit). The item that has made paperless closer to a true reality for me has been the livescribe pen and evernote. The combination of the two are so much more powerful than any simple recommendation. If you take paper/pen notes a lot but want them usable digitally, this is the fastest way to generate this with the least amount of effort. The newest livescribe can even be used as a pen/mouse. I use mine at home occasionally. Mostly to print out posters I make for my classroom. I can’t remember the last time I bought ink. At work I am required to print out my lesson plans and have them on my desk – in case of a sub. Even though I have an entirely different set of low tech lesson plans for a sub.I can’t be sure my sub would know how to work my Promethean board and I don’t want my Ipads out if I’m not at school. (We have had many thefts in that type of situation). I also have to print out some worksheets, instruction sheets for kids. Depending on how many kids I have next year. I plan to use e-books on my Ipads for things like instructions. I use evernote for running records on kids. I can take pictures of their work or record them reading and save that to evernote. Can’t do that with pencil and paper. Thanks for the suggestions. So helpful! I’ve been printerless since February & haven’t missed it one bit. I sign things digitally. 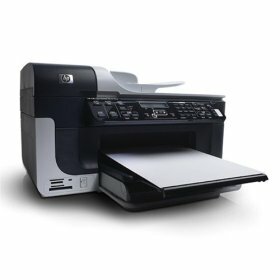 Send/receive faxes via unityfax.com using the $4.99 per month plan. I can send up to two faxes per day free, which is all I need. There are other plans to accommodate your faxing needs. One of the main things I print out are knitting patterns. I sometimes will follow along on the laptop, but for most things I want a printout. I don’t plan to buy a tablet anytime soon so I will stick with printing patterns. I do wait until I’m ready to actually make the item before I print it though. We print out checks every month when we pay bills. Yeah, I know, it’s the Luddite approach, but for us the paper trail is worth it. I also print out instructions. I loathe reading PDFs and web sites. If I want to know how to do something, I want a piece of paper I can refer to while I do it, not something that has to be clicked on. I print out registrations so I have a record of the serial numbers that won’t go bye-bye if my computer is down. They’re put in a 3-ring binder alphabetically by company, so I can get my hands on anything I need in less time than it would take to boot the computer and go looking for a file. I also print photos, although not as much as I used to. My husband prints out agendas for the various organizations he chairs. I print out driving directions from Google Maps, because we only have one GPS and it stays in my husband’s car (he travels around a lot more than I do). Easier to glance at a paper map than risk death and destruction by trying to take a look at a map on my phone. I’m going to the vet today to discuss a fairly complicated issue with my cat’s health. I could make them look at several websites (or a document of those compiled websites) on my tiny screen, but I would rather not have them try and figure it out. Handing them a printout with sections highlighted is still going to work best. Although this is a specific situation, others like that do come up. My boyfriend plays the piano and organ, and while he tried to find ways of displaying the music on a screen above the instruments, by far the easiest solution was to just get a printer. Since the music isn’t a throw-away printable (it gets put into books of sheet protectors), this seemed reasonable. Another factor besides cost/simplicity of set-up was that websites for both printing music and coupons etc. are beginning to find ways to not let you print things to PDF but rather require an actual hardware printer to be hooked up. I don’t know how and if this could be circumvented, I haven’t tried. I also feel that printed directions are just safer than those sent to the phone (not backed up by actual data, just my feeling here). The larger sheet allows me to glance at them tucked somewhere on the dashboard. Squinting at the iPhone screen is more likely to take my eyes off the road for a longer period of time, *and* more likely to get me pulled over for violating the hands-free law here in California. Getting a dashboard mount for the phone would helpful, but… it’s still not the size of a sheet of paper (so either squinting or zooming in on different portions/scrolling is required) and it would just be more permanent *stuff* taking up residence in my car that I’d have to dust. What will we all do when a big magnetic wave hits the planet? 🙂 Just teasing! I got a new computer recently and its Windows 7 which was not compatible with my printer, or so I thought. I made do. I felt for Frances, losing out on a $100 coupon but I bet if you explained that you had the coupon but were going paperless, many would be understanding of that. Also, for grocery lists if you have an iphone there’s an app for that… its called Our Groceries and its very cool. Realtime, so your hubby can add something to the list as you are on your way to the store. It’s an amazing world. Erin, I just got my first smart phone and boy does it make everything a lot easier. I do appliance/ac repair. When a customer calls, I put them in my calendar on the phone. From my calendar I can just touch the number to call them, then go to “location”, tap it, and a map takes me to where they live. And my phone reminds me of the appt. if I forget. I wish I could just put in a code for the work I do for a customer and the receipt would then be emailed to the customer, but right now I still do receipts the old fashioned way. Also I have two monitors for my computer. They’re used when I have a question about something. I used to print out the directions to free up my monitor so I could then follow the directions to solve my problem. No I can look at the directions on one monitor, while I solve the problem on the other. FYI, my guess is that children’s school forms are still done with paper because not everyone has access to the internet, nor has a computer at home. It’s the only system that is able to serve every family. I believe that actual pen-written signatures (not electronic ones) are still necessary for minors’ permission slips. I love the *idea* of a printerless office, but it’s just not practical for me and the way I live and work. Several of my publishing clients require paper invoices with original signatures. I print out mailing labels for my show postcards and holiday cards, house stylesheets for projects I’m working on (a lot more convenient than having to switch windows to view them and less real-estate hogging than having two monitors), shipping labels and packing slips for shipments, cover letters and invoices for hardcopy projects I’m returning, signage and order forms for shows, applications for shows and other things that have to be mailed back, directions (I agree with everything @infmom and @Scarlet had to say about that), Sudoku and Kenken puzzles (can’t stand doing them on screen), recipes (I’m a messy cook and want my laptop nowhere near the kitchen), and a bunch of other things I can’t remember off the top of my head. And I almost always do second-pass edits on paper — I catch different things on paper than I do on screen, and I get the joy of taking that stack of paper out to the back patio or the front porch or the beach or wherever I might not want to take my laptop. I use both sides of paper whenever possible and recycle as much as I can, but I don’t ever see a day when being printerless — never mind paperless — will be possible or even desirable for me. Not me! I’m a writer and have been working off paper for too many years to find editing a 300 page mss on-screen anything but impossible. There is always a point about two weeks before sending the thing to my editor when I’m sitting on the living room floor surrounded by mss pages, coloured pens & sticky notes — not being able to see the whole novel while physically moving between chapters, scenes & pages is a sure recipe for disaster in my world. (I submit the mss in electronic form, just work on my final drafts in paper). Have a friend who proudly went paperless earlier this year & scanned all his user manuals (everything from home appliances to his well pump) onto his computer & became fairly insufferable about it. Last week he was trying to fix said pump & had to call me to ask if I could PLEASE print out his manual (he’d scanned it & had it on his laptop but had recycled the paper manual & given away his printer) because jamming himself half upside down in his well & fumbling with tools while trying to hang onto — and read — his laptop AND trying to trace wiring on a virtual schematic just wasn’t working. I laughed my head off. But did print out what he needed. Pump is fixed. My friend called the dealer he bought it from and had them send him a new (paper) manual on which he has made his handwritten notes and marked up his wiring diagram (in red ink) for any future problems. And he’s bought another printer — and a nice bottle of wine for me. If you’re self-employed, be VERY sure the tax people will accept your paperless documents, electronically signed or not. Overall, I’m at an age where squinting at the text on my iPhone gets tedious — & dangerous while driving. I like printed directions, shopping lists, recipes, instructions . . . I use LESS paper than a few years ago, but can’t see myself going paperless (or even wanting to) any time soon. Which doesn’t mean I don’t respect and congratulate those of you who have! Joseph here, the cofounder of HelloFax. Just wanted to thank you for writing about us! For example, I recently had to protest my property taxes and to do that required a 39 page deposition x 5 copies. I printed one copy in color and the others in B/W. I also PDFed the document and brought along my netbook to show larger versions of any pictures that weren’t clear in the printouts. I was still recovering from an illness, so much of the presentation was put together at the last minute. I cannot imagine what a disaster it might have been if I had also had to find someplace to print my documents before the morning hearing, after driving into town (40 minutes). This need, while not frequent, illustrates why the printers are an absolute necessity. I use my multifunction to scan in documents like receipts, warranties, user guides, etc., which I collect in OneNote documents in DropBox. Things that require a paper trail, like receipts for taxes, are printed out on standard paper and filed. This is much tidier than storing a bunch of loose receipts and allows me to make annotations about what the receipt was for if needed. Jessica, there are programs online you can use to record your temps. I don’t think I will ever be able to go paperless or printerless because of my life situations and needs, but I ~love~ my computerized temp chart! Great post. Earlier this year I bought a compact wireless laser printer to print labels (business) and coupons and tickets (family), but it stays turned off most of the time and just sits there collecting dust. Reading the comments here makes me want to empty a deep file drawer and stow the printer out of sight, away from dust, but with ventilation. So we can open the drawer and turn it on when we want to print, then turn off and close the drawer when finished. A cool lamp would look loads better on that file cabinet/side table. A wireless shutoff switch like this guy uses would be extra good. I look forward to paperless and printerless office..we run a farm, and the folks who buy from us are fine with on line communications..but our suppliers don’t even have email or websites! I don’t think the Amish we get our GMO free feed or our irrigation equipment from are going to be willing to accommodate all on line business interactions! Living without a printer at home is very different from living without a printer. We have no printer at home, but we do, occasionally, print out documents, such as sneak preview movie passes or airline boarding passes. I print out these documents from the printer at work (free, but inaccessible on weekends) or the library (a dime a page, but open on weekends). My wife needed to review a manuscript and preferred to review it on paper. She uploaded the manuscript to Kinko’s website and picked the paper copy up at bricks-and-mortar store. Nope, couldn’t do it. Craft projects and patterns, Paper copies of the novel I’m randomly working on, Maps to new places in my new hometown, Pre-paid mailing labels for my book swap site, Endless homework assignments that must be hard copy, Recipes I want to try…. I can’t live without my printer! I use our wireless printer probably once or twice per week – it comes in handy for printing out summer camp forms, permission slips for school events, an occasional picture needed on-demand, etc. I would recommend you keep your printer – as your son gets older and is involved in kid’s activities/events and school stuff you’ll be happy you have that printer. I try to keep things paperless as much as possible and have drastically reduced the amount I print over the past few years (not for holier-than-thou environmental reasons, just because I haven’t needed to – and by the way, isn’t anyone else sick and tired of those pious, hectoring “Please think before you print this” messages at the end of corporate emails?! They make me want to print the whole thing out in duplicate!). However, as other people here have mentioned, sometimes you need something in paper form (either for your own convenience or because some institution or company won’t accept anything else), such as boarding passes, application forms, train tickets, or manuscripts that you don’t want to edit on a screen. If I got rid of my printer, I think I would actually bring more clutter into my life in the form of trips to the library/copy shop/friend-who-has-a-printer’s house. Why don’t you buy a smaller printer? I have a Canon PIXMA which is tiny and light and takes up much less desk space. A friend of mine decluttered her office by buying a wireless printer (they’re so cheap nowadays) and putting it in a completely different room where there was plenty of space. I think one day it will be possible to get rid of your printer, but not until paperlessness is almost universally accepted by businesses, shops, governments, airlines etc., which I don’t think is entirely the case just yet. And, fertilityfriend.com is what I use to chart with… and for all of you folks with smart phones, they even have a phone ap now so you don’t have to leave you bed before recording for the day. Why would you give your signature to some Internet company? Why not manage it yourself? Someone was teasing about that ‘big magnetic wave’ hitting the planet and what will we do then? I admit that I don’t spend much time up at night worrying about this, but the people whose job it is to protect us from and anticipate terrorist attacks do just that. An electromagnetic pulse, or EMP, is their worst nighmare. Of course, a printer wouldn’t be any good in that situation either and a smart phone would turn into a teeny-tiny paperweight. But even if a full blown event never happens, hackers are constantly chipping away at defenses and getting better and better at it. They will continue to create havoc. I think we should all have backups of essential information regardless if we decide to ditch the printers or not. Wow, Erin, did you really think this through? I like the idea of not having to print out the form, fill it out, take it to the copyshop to fax. It sounds practical. But I feel uncomfortable giving the website a usable image of my signature. Depending on the kind of faxes you send, if they store sent faxes or someone intercepts them while you send them to the website, they not only have your signature, but also your address, birthdate, social security number, information about your business or bank account… etc. It is an identity thief’s dream come true. The website owners, or someone they sell the website to, or someone who hacks it could use the information they have and the stored signature to sign all kinds of documents get me into major financial and legal trouble. I think I’ll pass, thank you very much. As of now, I’m also in the “need my printer” group. I don’t have a smart phone, so I use it for printing coupons, maps, an occasional school form, etc. I *may* print something once a week. What I really use it for most is scanning. Regarding the electronic signature, it does make me a bit nervous, what with hackers and websites that sell your info for a quick dollar. On the other hand, if someone makes you a target, they could scan any document you’ve signed and create one from that. I applaud you for going paperless Erin! I’ve gone about 90% with Evernote, eFax and Echosign and at one time thought of doing away with my printer when it sat after a move. The 10% of printing I’ve had to do recently has probably made up for what I didn’t print over the course of the idle time – coupons, legal docs that require hard copy return, art & fliers for my farmers market booth, and the list continues. My vote is to keep the printer just in case as it will save you the headache of either purchasing a new one or traveling to the local FedEx/ copy center in a time of need. @BetsyK great idea about printing out craft materials for the kids. It seems like it would be more cost effective and creative than buying read made items from the store. I run a small business from my home office, and yes I do use my printer. I find it easier to print out my calendar for the week and add notes to it instead of going into my computer for every to-do. I also find it much easier – and more accurate- to proof-read my writing on paper than on the computer screen. Factoid – visual people do better with paper and conceptual people do better with computers and smartphones. I’ve never seen a store in my area that would accept to scan the barcode off a phone screen for a coupon. Must be different in the US. I need my printer because I don’t have a smart phone and have no intention of getting one. Ever. Good to go paperless as much as possible, emphasis on what is possible. My vision problems require me to print occasionally, but I still don’t have a printer at home — the public library is just a few blocks away for that, or I print at work. It keeps life simpler. @Anne, try not to let your hostility to environmental messages dictate your behavior in an irrational way. Saving paper makes sense economically as well as environmentally. There are overly “helpful” people who just automatically print and re-distribute everything to everybody, even though we all got the same email with the same information already. Those nagging reminders are necessary; treat them like you would any other info that you don’t care about, like the promotional signature “Sent from my Blackberry, iPhone, etc”. –large scale 24″ x 24″ screenshots from topographic map software (I tile together segments) to trace onto tissue paper which then gets layered onto fabric and stitched through. I can’t trace on my expensive 30″ monitor! –grant applications and technical writing where I just cannot adequately edit the writing glancing at it onscreen. I am the go-to person for clear, concise, accurate writing and I for one can NOT read an NSF application for the twentieth time WITHOUT printing it out and forcing myself to engage with it on a tactile level. –drafts for one-on-one meetings with colleagues so we can look at the document–and each other–without the intrusion and emotional distancing of a laptop or other device. As noted above by Linda Varone, the success of a printerless office may also depend on one’s own learning style. I’m a visual and kinesthetic learner, so never having the tactile feedback of paper would be torture. Don’t get me wrong. I don’t KEEP much paper any more. I love the digital world and ALL of my records are digital (with crucial physical backups in other media for irreplaceable things like images of my work). 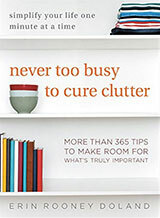 But for me, “uncluttering” is a way to be more effective and more satisfied. A printerless office for me would be deliberately hampering myself and using more time unproductively and that’s the opposite of what I want. Acck! Sorry for the cut and paste fail! Enjoyed your story of the neighbor down the well – very funny. I liked the visual of being surrounded by paper and different color tags to sort out the layered world in your manuscript. I also resist ebooks as I just love books and paper. I love this idea. I don’t have a printer at home but I do occasionally print things off at work. Before I get too excited about Evernote or InstaPaper, can anyone tell me are they free? I see you can sign up for a free trial but what after that? I would love to know people’s experiences with these programs. I am surprised to have not seen any comments about students who must submit essays, reports and other hard copies to teachers. There is no way that you could be paperless with students in your household. As far as coupons in the US, I am not aware of any store that will give a discount without the actual paper coupon. and these coupons more than pay for my ink. DItto on the coupons. And with a mom in a nursing home, there are many instances of me needing to print and mail things that can’t be done electronically. Plus photo printing, cross-stitch patterns, labels, mailing envelopes, postage on said mailing envelopes (who wants to walk to the post office and stand in line when one can use click-n-ship) and numerous other things. I think there’s a fine line between living an uncluttered lifestyle and living a lifestyle where having a lack of things makes life more difficult, and for me, no printer would create more hassles than the tiny amount of space it takes up. @Jessica I use the free version of Evernote and it makes my life much easier; I also use Cycles Page to track temps and such on-line. I have an older inkjet that was essential while DS was finishing his degree; now it is used occasionally to print out coupons for the pharmacy. If we move, the place we’re thinking of has a printer available in the office and a 24-hour Kinko’s around the corner, so we’ll let DS have it. For paperless I’m loving the Lion OSX upgrade on my Mac – it has a signature stamp for signing documents! I suggest using a slightly thicker pen when you set it up – very cool. For having those directions next to my PC when I’m working, I love my iPad for that. I used to keep notebooks for my to-dos and have moved to using notes programs and a stylus on my iPad. My kids are upset because I don’t allow games on my iPad – it’s waaaay too much of a productivity tool!! Some of these printers are just to sell ink. Mine is so expensive to replace the ink that it has been sitting idle for some time. And, I don’t print much, either, mostly black. Then, I read that this printer uses all the colors when it print in black. And I have yet to find an option to print only in one of the other colors. I can almost buy a new printer for the price of the ink. It stinks!! I gave up the inkjet for a $50-on-sale tiny monochrome laser. It stays in the closet unless I need it, usually two or three times a month. Correspondence for my boss, a creditor who has no e-mail and needs a printed invoice, and the occasional request from a tenant for a map, manual, or PDF make it necessary to keep one; my boss has a computer and color inkjet printer, but no MS Office and he will not let me install OO on his machine. I keep a flatbed scanner to archive. Total space requirements: about two shoeboxes’ worth. I’m still furious at the printer companies for pulling their cheap little cylindrical models in favor of the pricey “portables” which use hideously expensive paper. i can print at the office, where i am six days a week. no need to keep the printer at home. By the way, it is technically stealing from your place of work to print out personal things there….. At my office, it costs 10-20 cents a page to print things by the time we factor in paper, toner, rental fees, and maintenance agreements. @Pamela — It isn’t always stealing to print things at work. For example, if you own the company and you’re okay with you printing at work. Or, if your company policy says it’s okay. Of all the offices I’ve ever worked in, only one had a corporate policy that didn’t allow for any personal photocopying. It would only be stealing if your employer prohibits such actions. We’ve got a printer at home. We also go through a ream or less a year. It doesn’t take up too much space in the office. While we use it rarely, we find it really useful to have the time or two a month we do need it. I could technically print things at school (I’m a grad student and a TA), but I live an hour away and thus can’t print things easily when needed. We do have two printers, and I should probably get rid of the second. It’s part of the “two households merging” bit we’ve been doing. We did get rid of the duplicate DVD player and things like that. I’m jealous of everyone and their printerless habits! Going back to school I’ve wasted more paper this year than many others combined. Now that our school doesn’t have any funding we are expected to print all the handouts teachers previously would give. This is nice because you don’t need to print them all but many (formulas you can bring to an exam, class discussion topics, etc) are must haves. Additionally, all assignments are due printed, no emailed copies will be taken by any professor I’ve had. Throughout out home buying process, our agent or mortgage broker would find additional forms for us to sign. they would scan it in, email it to us, and my husband would load it up on his Ipad. We’d sign with an touch-screen stylus, and email the form back. Not only did it save tons of time for either waiting for mail or personally delivering the forms, but we saved tons of paper too! We have two printers (which are also scanners/copiers/faxes) in our house, but they are mostly used by my partner for his business – printing things like tenancy agreements as we have a property management company, so it’s a bit inescapable. Printers, and printer driver software especially, are really vile frustrating things – I lost patience with them when a piece of HP printer driver software wanted me to close all other programs to install it and be prepared to restart my machine afterward – on a Mac! Utter junk. Half the ‘Help!’ calls I get from my partner are to do with a printer not doing it’s thing and I hate them. I don’t have a printer in my office (we both work from home) – I used to miss it, but in the 18 months or more I’ve been working from home the only things I’ve printed have been expenses claims about once a month and those can be done to PDF and printed at my employers’ office when I’m there. Sadly they still require the bit of paper with a signature on it before they will actually pay the expenses claim! I still rarely print things like woodworking plans that I want to take into the (dusty) shop when I’m building. But other than that, I still the need my printer because it’s a multi-function, and I use it to scan all paper that comes into the house, so that I don’t have to keep it around. currently, I’m trying to scan through (14!) boxes of old family photos. Like Mark above, ours is a MFD so we also use it to scan and copy various things. We’re pretty happy with it even if it’s fairly bulky so I don’t see us getting rid of it for quite some time. A printer – less office might also be a disadvantage. The same thing with a resume builder who has no printer at home. Writing resume is very important so as to printing it right away.